The federal Centers for Disease Control and Prevention (CDC) late Friday reported a multistate investigation which began on April 2, 2019, when PulseNet identified the outbreak. As of April 12, 2019, 93 people infected with the outbreak strain of Salmonella Carrau have been reported from nine states – Alabama 1, Illinois 5, Indiana 18, Kentucky 16, Michigan 19, Minnesota 3, Missouri 3, Ohio 27, Wisconsin 1. 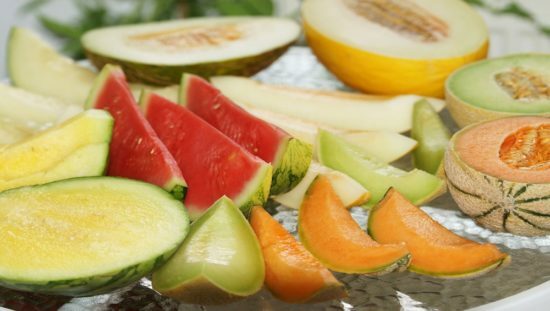 In response, Caito Foods has recalled fresh cut watermelon, fresh cut honeydew melon, fresh cut cantaloupe and fresh cut mixed fruit containing one of these melons, produced at the Caito Foods facility in Indianapolis because these products have the potential to be contaminated with Salmonella Carrau. Illnesses started on dates ranging from March 4, 2019, to March 31, 2019. Ill people range in age from less than one to 98 years, with a median age of 53. Fifty-seven percent are female. Of 53 people with information available, 23 (43 percent)) have been hospitalized. No deaths have been reported. In interviews, ill people answered questions about the foods they ate and other exposures in the week before they became ill. Thirty (77 percent) of 39 people interviewed reported eating pre-cut melons purchased from grocery stores, including pre-cut cantaloupe, watermelon, honeydew, or a fruit salad mix or fruit tray with melon. Four additional people reported eating pre-cut melon outside the home. Salmonella can cause serious and sometimes fatal infections in young children, frail or elderly people, and others with weakened immune systems. Others infected with Salmonella often experience fever, diarrhea (which may be bloody), nausea, vomiting, and abdominal pain. In rare circumstances, infection with Salmonella can result in the organism getting into the bloodstream and producing more severe illnesses such as arterial infections (i.e., infected aneurysms), endocarditis and arthritis. Reports of illnesses linked to these products are under investigation, and Caito Foods is voluntarily recalling the products out of an abundance of caution. The company has been advised by the Centers for Disease Control (CDC) and the Food and Drug Administration (FDA) that it has linked 93 illnesses to the strain of Salmonella under investigation. Caito Foods has temporarily suspended producing and distributing these products as the company and the FDA continue their investigations. The products were packaged in clear, plastic clamshell containers and distributed in Illinois, Indiana, Iowa, Kansas, Kentucky, Michigan, Minnesota, Missouri, Nebraska, New York, North Carolina, Ohio, Pennsylvania, Tennessee, West Virginia, and Wisconsin. A full list of recalled products, including the brand, product label, and retailer where sold, is included below. Caito Food and SpartanNash Company supply to independent retailers, so it is important to look at the label description and brand information to identify the product. Products included in the recall can be found at eFoodAlert. Tags: Caito Foods, Salmonella Carrau.